Speed King - Pacific White Sided Dolphin, British Columbia. This frisky dolphin was up to the challenge of a race and proved to be quite a speed king. 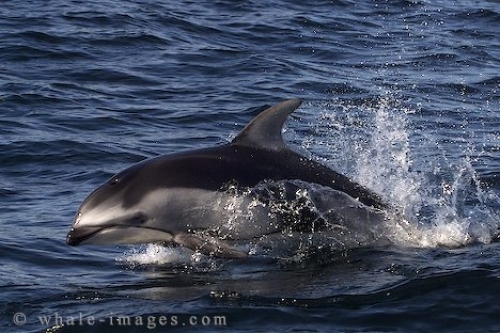 There are numerous accounts as to the speed that dolphins can travel ranging up to 26 knots. Their streamlined bodies allow them to move quickly and efficiently in their marine biome, and their powerful tails provide the main propulsion. The speed king pictured here is a good example of just how fast these creatures can travel.